Wow, we’re already on Week 8 of the Holiday Countdown! Only one more to go after this and you’ll have everything ready for Christmas. As mentioned last week, I’m looking for holiday preparations to feature the week before Christmas. 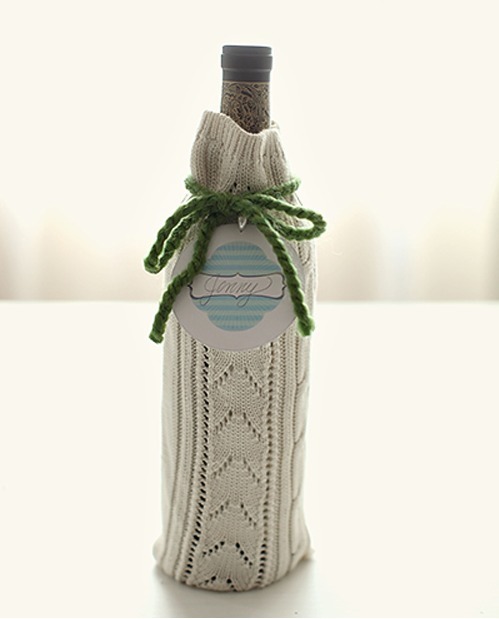 If you’ve been working on a holiday related project (big or small), I’d love for you to share it with us! It can be anything- decorating, baking, crafts, traditions, etc. Just send me an email and I’ll give you all the details. It’s open to anyone, so don’t be shy! If you’ve missed any weeks along the way, you can catch up here. Decorate your tree. This year I really enjoyed decorating the tree. Not only did my husband help set it up, but my son also put ribbon on some new turquoise ornaments. They know how detail oriented I am and it was pretty funny to see them being so precise. Of course we had to break out the Boney M Christmas cassette (yes, a cassette)! There are always a few ornaments that make it on the tree that I’d rather keep in the box. We have this hideous troll ornament my husband got as a kid and every year it’s a joke to move it around the tree. I hide it somewhere and my son finds it and puts it in the most conspicuous spot until I notice and move it again. It’s become a tradition even though it urks the designer in me! Do some baking. I did a Costco run earlier this week and stocked up on chocolate chips, nuts and a few other baking supplies. Over the weekend I made the items for my baking exchange I’ll be doing with a friend later this week- I promise I’ll share the all the recipes and photos with you soon! Set up a gift-wrapping station. When we finally build our dream home, I plan on having a craft/sewing room that I can set up a wrapping area in. Until then, I am making the best of it by organizing all of my wrapping supplies in one giant tub. This week I organized all my embellishments (ribbon, bows, etc.) in one plastic container, my gift tags and cards in another and tools (scissors, tape, etc.) in one more. I labelled each one accordingly and placed them all in the giant tub along with rolls of gift wrap, as well as gift bags. Since I have to do my wrapping at the kitchen table, it’s so much easier to pull everything out and put it away when it’s contained. Remember the station I recommended you set up last week, well it’s time to put it to use. If you wrap your gifts early, you’ll know if there are any gifts or add-ons you still need to purchase. My son is an only child, but I’ve heard stories from moms who were wrapping gifts for their kids and realized they over bought for one. As a result, they either need to return items or do some more shopping for the other(s). Don’t let this happen on December 23! A big thank you to everyone who has been following this Christmas Countdown series. I appreciate all your wonderful comments. I’m having a blast putting it together and it’s definitely keeping me on my toes! I’d love for you to share what you’ve been doing to prepare for Christmas. Remember I’m doing a reader round-up, so send me your photos and/or ideas and you may be featured. I’d love to see them! 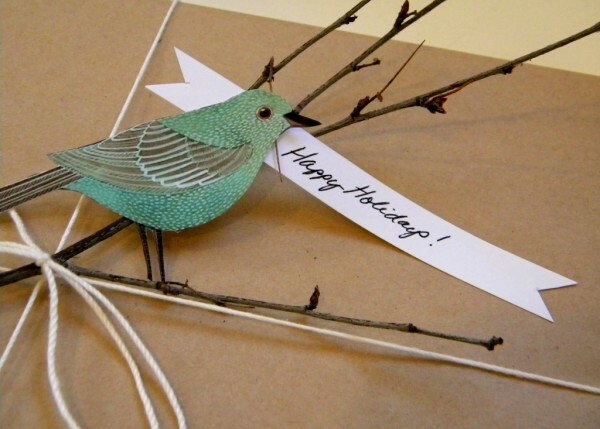 Come back tomorrow and check out more gift wrapping ideas. I even show you how to make your own beautiful paper. Beautiful inspiration photos! 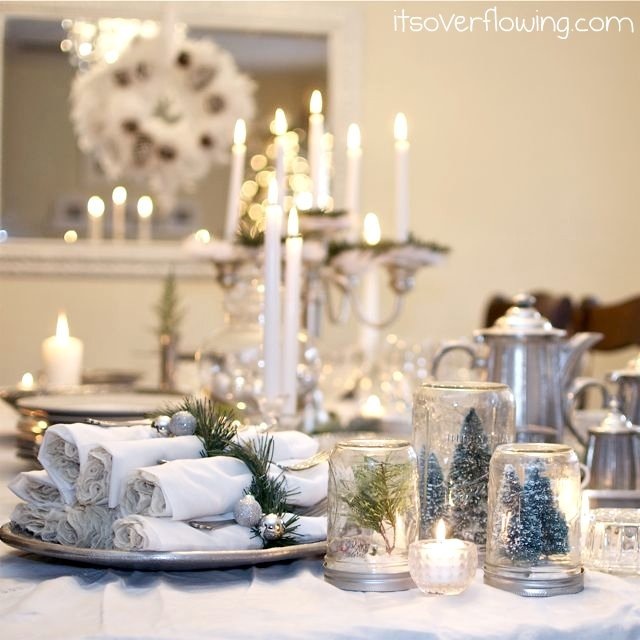 Love the white and silver tablesetting! Thank you. 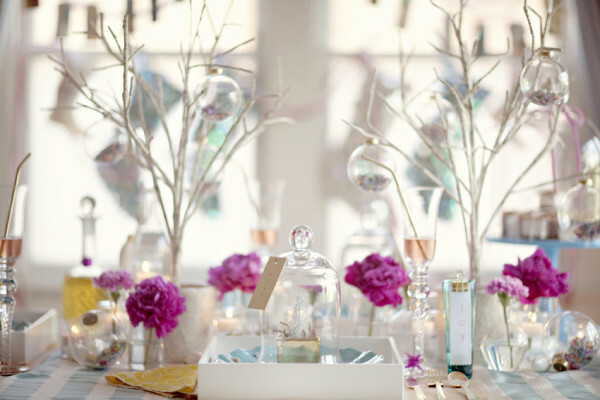 I love that table setting too! 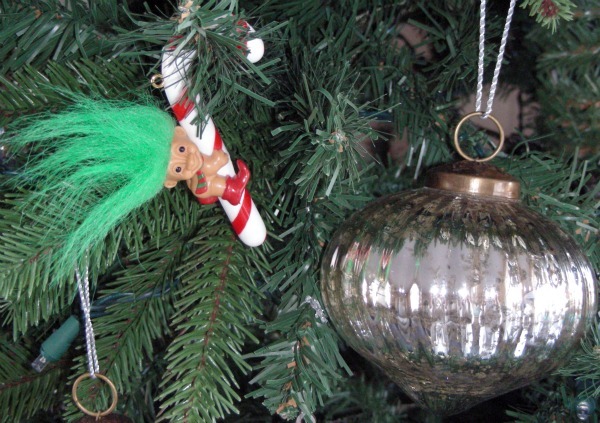 Your story about the troll ornament sounds like something in our house. My husband has a tree topper he got from his grandparents and he insists on putting on the tree every year. It is horrible, but I get the sentimental value, so it stays! Too funny. The things we do for our loved ones! awww what a pleasant surprise to be reading your wonderful blog and saw my dining room photo! Thank you! and LOVE the red & green photo from Better Homes & Gardens! You’re welcome Amanda. 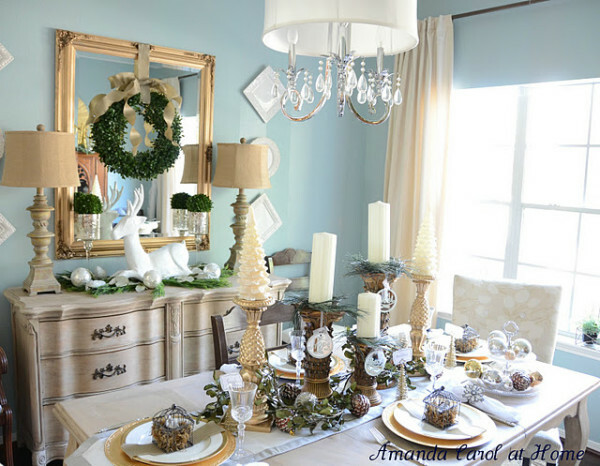 I Love your dining room and the nature inspired holiday decorating you did!